The first quarter of 2019 was a busy one for ContractWorks. We rolled out some great product updates that our customers are already finding really useful. Here’s a quick rundown of what’s new at ContractWorks. 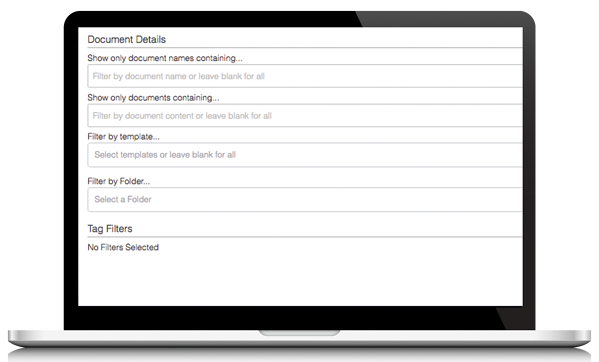 Running reports is now easier than ever with the option to create a report that filters down to a specific folder. From the "Reports Tab," choose "Create a New Report"
Click Here to See this Feature in Action. A new addition to the electronic signature tool is the option to send a signed, finalized contract by email to any recipient of your choosing. 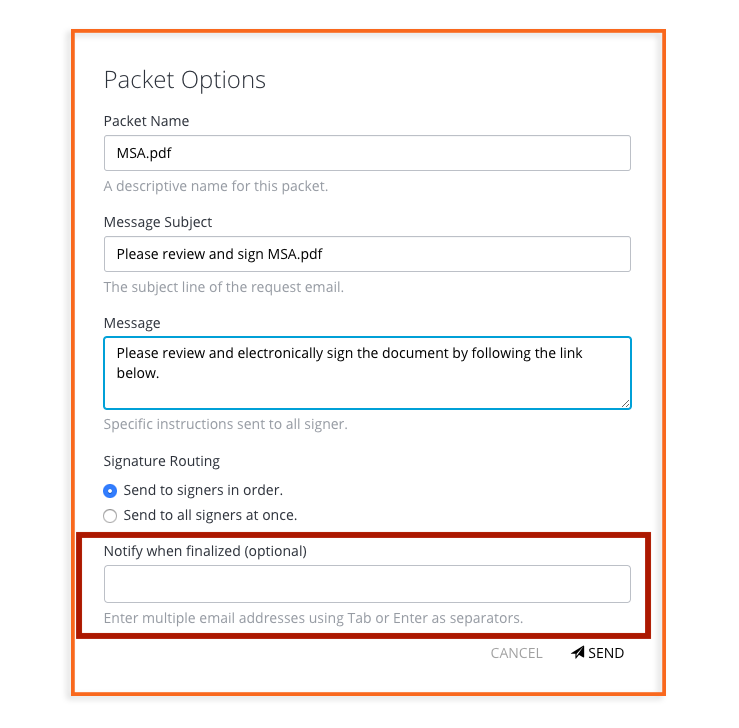 When sending out a document for signature, under “Packet Options” at the bottom of the window, see the “Notify when Finalized” optional field. In this field, add the email addresses of any recipients that you would like to receive the finalized contract or document. Once finalized, the contract will automatically be emailed to all signers and additional recipients. This new feature is especially useful for interdepartmental communication. For example, if a C-level executive or a member of your finance team needs to be made aware of all signed agreements, you can now notify them when any contract is completed. Click here for a quick video of this new feature. If you have any questions about these new features the ContractWorks Customer Success Team is on call and here to help. Stay tuned for more product updates soon to be released in the second quarter of 2019.